Love Yo’ Self this February! Enjoy an evening of relaxation and creativity. Design and plant your very own zen garden. 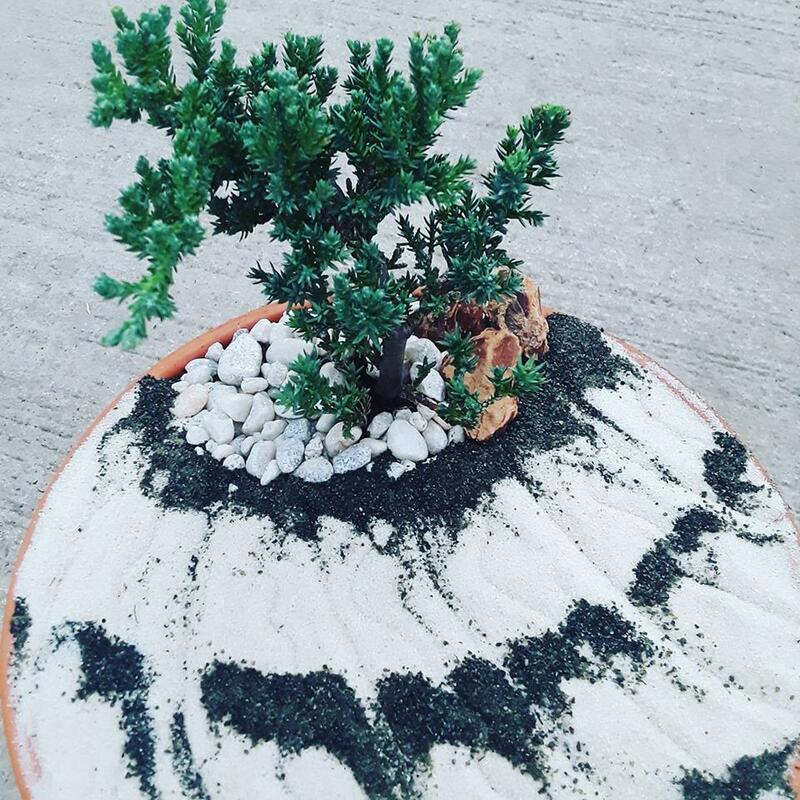 Use rocks, gravel, sand and other extras to recreate the essence of various aspects of nature around your miniature cypress tree. Methodically arranging stones and designing in the sand gives your mind and body the ability to relax and enjoy the present. There is no right or wrong way to design your zen garden; you can achieve the benefits of stress relief just by mindfully tending it. Escape the stress of your busy everyday life with a night out to Brookside Nursery. Laugh with friends, get your hands dirty and depart at the end of the evening with a beautiful zen garden for continuous relaxation. All materials and light refreshments are included. You may reschedule your class registration up to 48 hours prior to your session to receive a full credit towards another Plant and Sip class within the following 3 months. You may cancel or reschedule by calling : (518) 885-6500. Registration not cancelled or rescheduled at least 48 hours in advance will be refunded by check the total amount paid minus materials cost. The materials cost varies depending upon planting project. In the case of inclement weather and class is cancelled by Brookside Nursery for the safety of attendees and instructors, you will be notified via telephone to the number provided upon registration. In the event of class cancellation you may choose to attend the snow date listed in the original class description, or you may choose to put your registration payment towards a Plant and Sip class scheduled within the following 3 months.